This is for Day 21. Ahh… the Christmas sweater. 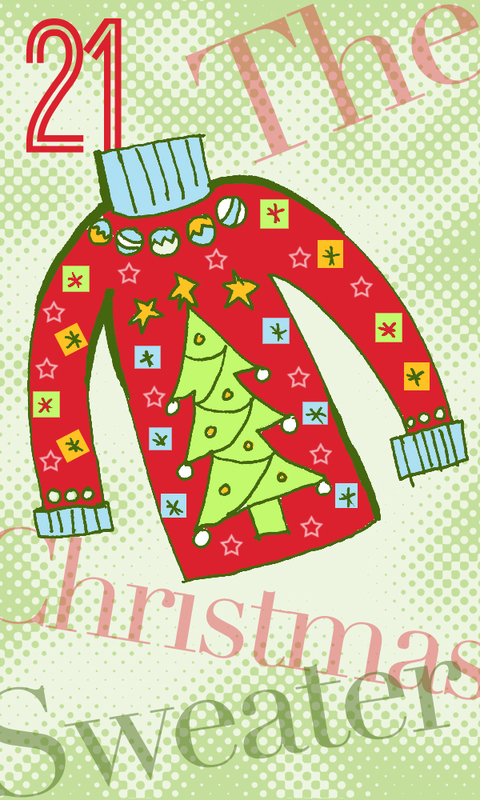 What would the holidays be without the traditional Christmas sweater? Admit it. You all have one tucked away in your closets, along with all your Christmas earrings, socks, necklaces, hair bands, ties, pajamas and shoes. If you find yourself without a Christmas sweater (everyone should have one) and would like to buy one; follow my friend Michael Quintanilla’s advice, ‘More is more!’ The more stuff it has on it the better. Now that’s the perfect Christmas sweater! If it has lights… even better!